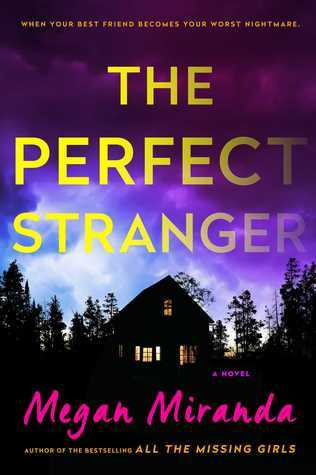 The Perfect Stranger by Megan Miranda – Books, Books and More Books! Last year Megan Miranda blew us away with her thriller All The Missing Girls. A story told in reverse that kept me on the edge of my seat and with a great respect for this author. When I received the email that her next book was coming out I was torn. We all know that a lot of time the second book/album is never as good as the first. Knowing that didn’t stop me from putting all the other TBR books on hold so I could dive back into the twisty, dark world of Miranda! She is truly a master at Suspense! And I will tell you right now, she has slammed it! This book is just as good as the first! Once you start you can’t stop reading, you just have to know! The suspense just keeps building until you are biting your lip and your fingernails! Her characters are perfect, her writing always leaves me with a What?? at the end. Did not see this ending coming at all. Good Job Ms. Miranda! Keep bringing us these creepy, twisted, palm sweating thrillers! Thank you to Netgalley and Simon & Schuster for this great story! I reviewed the book too….